Impeccably maintained & located in the heart of N. Columbus this home is a MUST SEE! The Southern style front porch overlooks the subdivision - perfect for a swing or rocking chairs while watching the neighbors pass by. This cozy ranch style home is move in ready w/ a practical floor plan & a backyard that offers a pleasant surprise! The screened in porch overlooks the sparkling in ground pool w/ water slide & plenty of green space to play! A short drive to Publix, Zaxbys, JR Allen Pkwy & more! Inside the living rm centers around a fantastic brick fireplace & opens to the dining area - new laminate flooring throughout the main living space makes upkeep a breeze! There is plenty of cabinet storage in the kitchen & room for a coffee bar or breakfast nook! The master bedroom features a private ensuite w/ nicely updated tiled shower/tub combo! 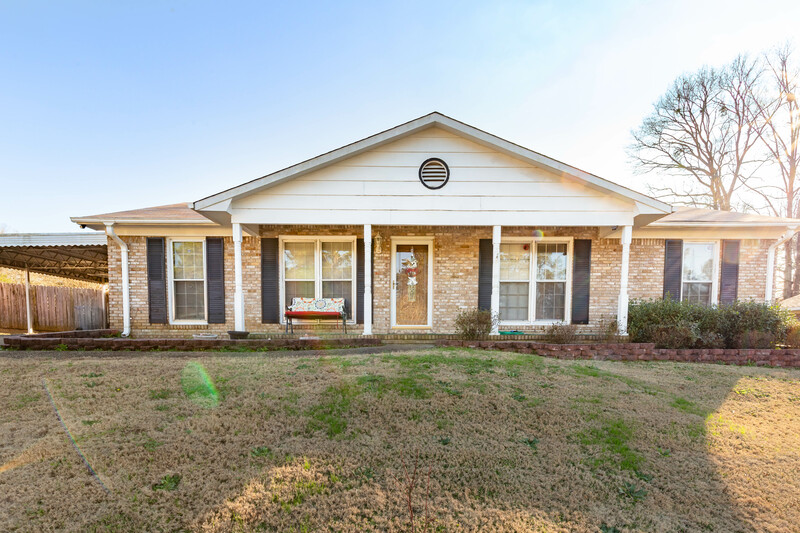 There are 2 additional bedrooms & an updated full bath. This is a fantastic opportunity at a great value - this is one you do not want to miss!